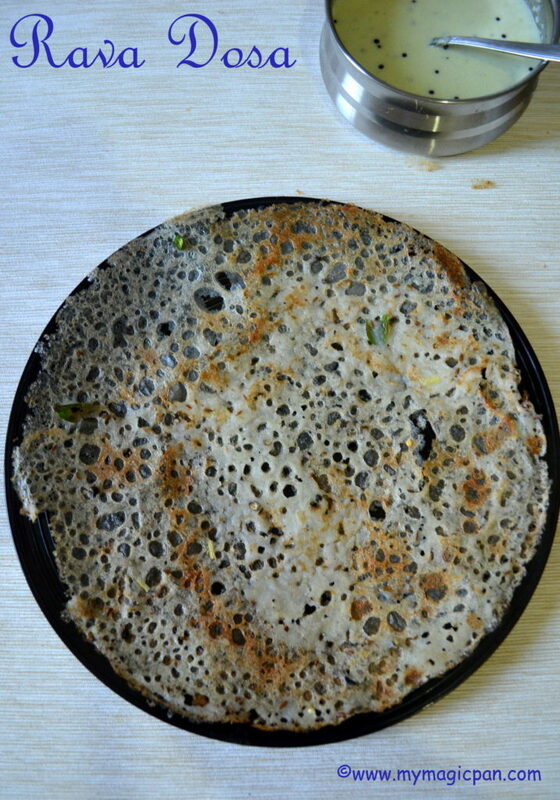 Rava Dosa had been in my to-do list since a long time. I usually make it for dinner, so could not click the pics due to poor lighting. As its summer now and the day light is extended until 10 pm, its comfortable to click pics even when I make it for dinner. 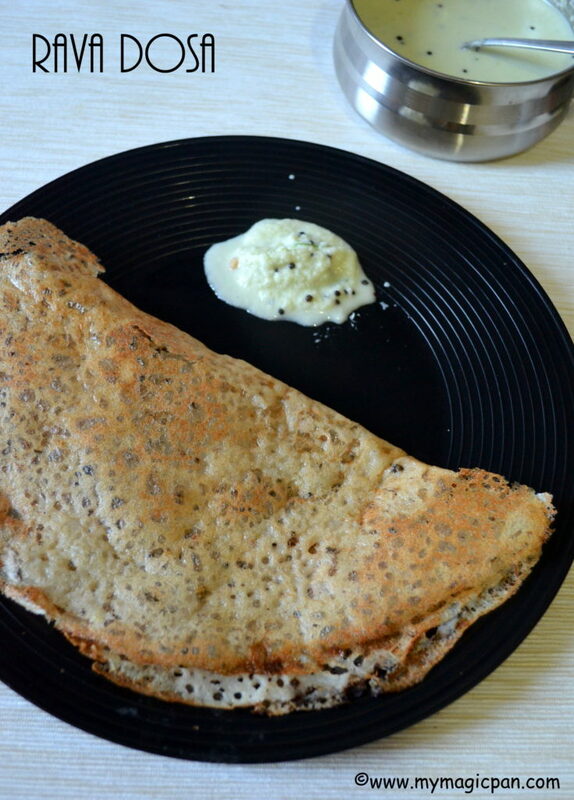 The trick of making the perfect crispy & lacy Rava Dosa lies in the correct batter consistency. Have shared a video as well as tips to get it right. I have made it as a plain one. 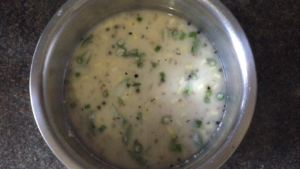 U can make it as onion rava too. The best combo for this would be coconut chutney. 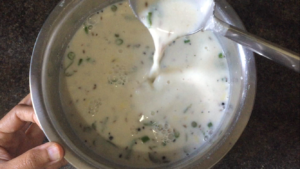 Take rava, maida & rice flour in a wide bowl. 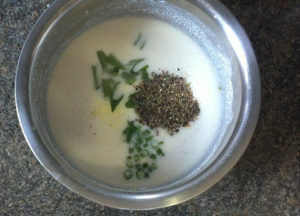 To this add required salt, curd and water. 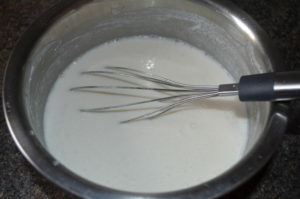 Use a whisk to make a batter without any lumps. Add chopped ginger, green chillies, curry leaves, crushed pepper & jeera. Mix to combine and keep it aside for 15 mins. 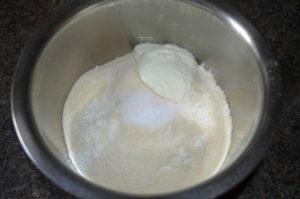 The batter will become slightly thick. Add some more water. 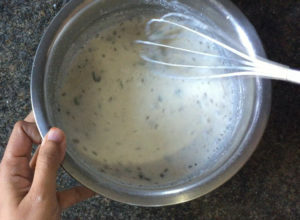 The batter should be watery just like buttermilk. 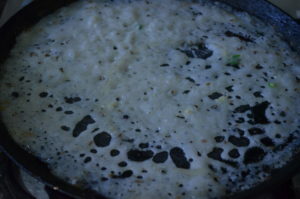 Heat a tava and pour a ladle full of batter in a circular motion from outside to inside. Fill the centre and big gaps with the batter. Leave the small holes as is. That is how it is meant to be. Cook the rava dosa in medium flame patiently. It will take a little bit more time than the normal dosa. Flip it once it is golden brown. The 2nd side will take only a few seconds. Thats it! 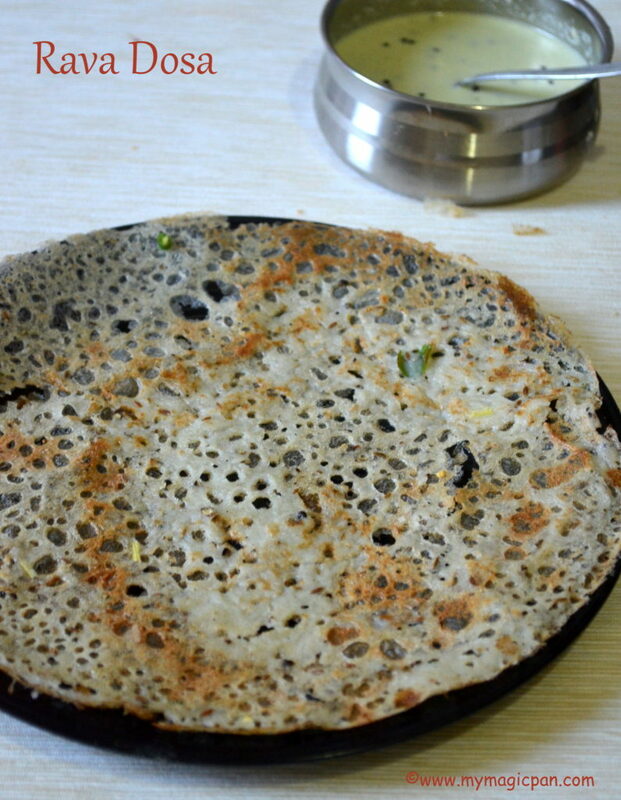 Crispy and lacy Rava Dosa is ready! 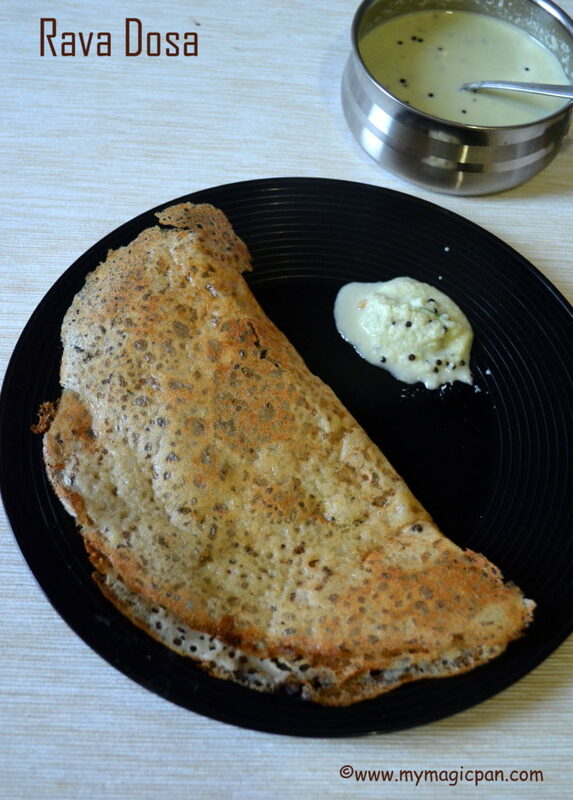 The batter consistency is the most important to make the perfect Rava Dosa. It should be watery like buttermilk. Cook the dosa patiently in medium flame. 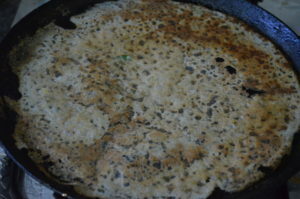 The batter will get thicker after 2-3 dosas. Add water as and when needed to maintain the consistency. 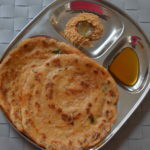 U can add chopped onion to the batter or sprinkle some onions on the tava and then pour the batter for Onion Rava Dosa. 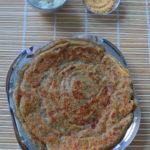 Similarly u can add finely chopped dry fruits and nuts to the tava and then pour the batter for dry fruits rava dosa. 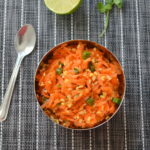 Perfect for dinner or breakfast Yum! Looks so crispy just like in restaurants.. Yummy!! Your rava dosa looks so nice and crispy, Sundari. 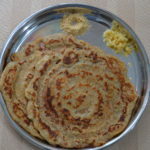 Love rava dosa and now I am feeling so hungry. I will have to make this soon. nice for breakfast …good pictures..